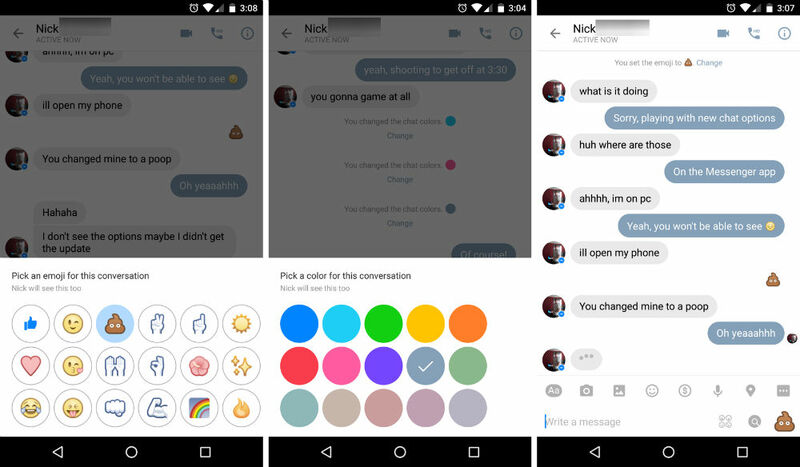 It seems Facebook has been hard at work adding new features into the Messenger app this week, and the latest additions are custom colors and emoji for your individual chats. Now, if you want a custom color for your conversations, you can set a theme from inside of the chat’s settings. For example, you will normally see the standard blue theme for Facebook, but you can now set red, green, purple, and many other colors as a chat’s theme. A custom theme can be set on each of your conversations, perfect for customizing what you see when talking to different people. Not only can you set custom colors, but you can set custom emoji. As shown in the header image above, I set one of my chats to show a poo emoji. With that emoji set, whenever I open that chat, I will always see poo. Fantastic. These changes are now live via Google Play, so if you use Chat Heads and Messenger as much as I do, go grab it. Sprint's LG G4 is Getting Marshmallow!